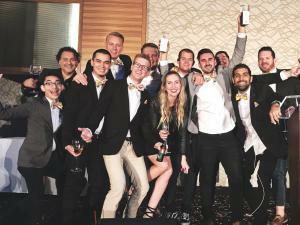 IRVINE , CA, USA, March 22, 2019 /EINPresswire.com/ — Vincit won two Gold Awards at the American Advertising Federation ADDY Awards. The company was awarded in the categories of Best Business-to-Business website and Digital Creative Technology, Interface and Navigation. ADDY Awards recognize the creative spirit of excellence in the art of marketing. “It’s an honor to be recognized for the work that we do. These awards are a testament to the hard work we bring to each project and to the innovation and creativity we hope to always bring to the table,” says Cameron Sagey, Lead Designer of Vincit California. The awards were publicly announced at The American Advertising Federation’s ADDY Awards on Thursday, March 21 at the Pasea Hotel in Huntington Beach.